Some nights you are feeling a bit tired (either after a full day at the office or running around the whole day) and as soon as you enter your kitchen, the question pops out! Doesn't this seem to be one of the biggest and toughest question to answer! Well, I am here with a very simple & easy solution for few of those nights when you just don't want to or cannot find the answer to that question 😎. 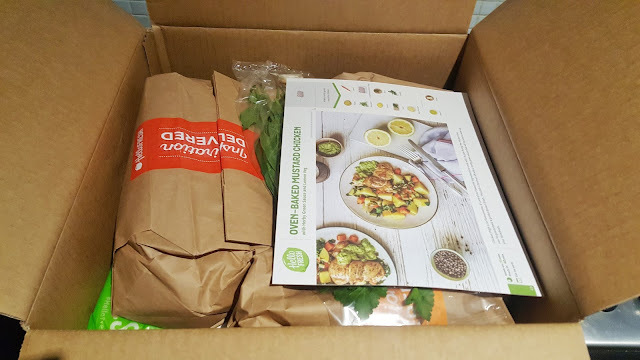 I got the opportunity to try HelloFresh and I am here with all my experience & thoughts about it. If you are interested in trying HelloFresh, you can use my referral code for a discount of $50 on your first order! To know more about it, let's keep reading! What is HelloFresh and What It Claims? HelloFresh is the leading global provider of fresh food at home. The recipes for the week is shared with you in advance and you receive the box as per your chosen schedule and time. The box is very well packed and comes with the printed menu of the week along with all the required ingredients (except the basic ones like sugar, salt, oil). I am someone who loves experimenting with food and gets bored with the same old recipes. However, I am very bad when to comes to recipe ideas so I am completely dependent on the internet for that. 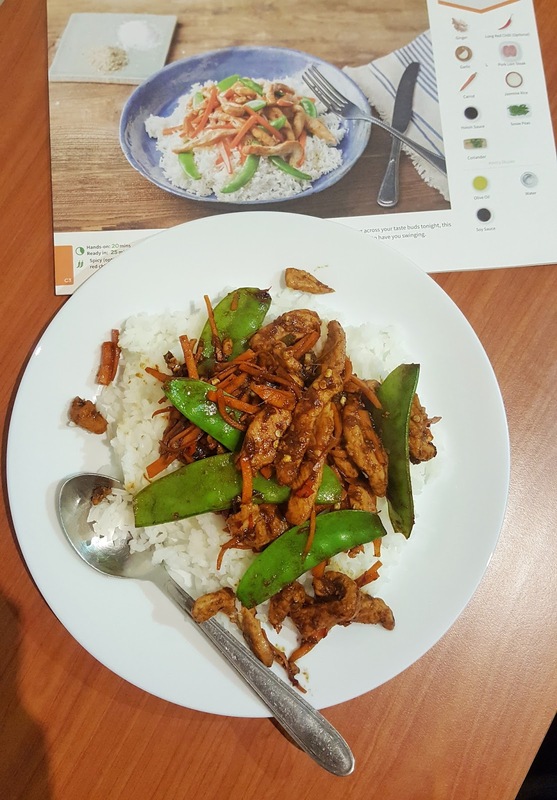 This is what intrigued me to try HelloFresh. 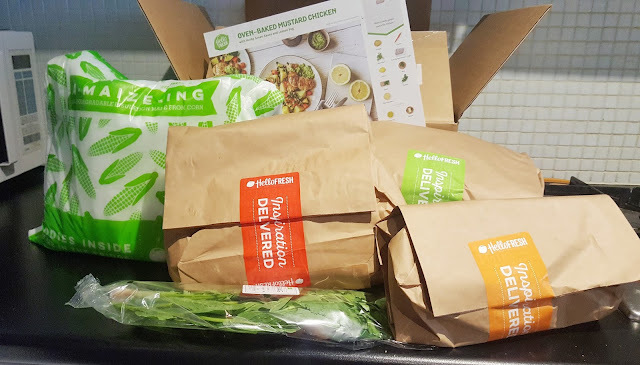 I found a voucher for HelloFresh on Groupon and opted for the Classic Box with 3 meals for 2 people. An advice: be clear when you place your order about where you want the package to be delivered and do not forget to check your main door before calling the Customer Service! The box was very neatly packed and was a bit heavy with so many things inside. As soon as I brought it inside, I tore it apart to have a look inside. The ingredients for each recipe was separately packed in a brown bag and their packing tape was colour coded with the recipe books. So you don't have to keep searching for it..isn't it genius! So I received 3 different brown bags for 3 meals, a plastic bag with all the required herbs and an insulated cooler bag with cool gel ice packs that stored the meat and fish. I am definitely very happy with the packaging as even if you leave the box outside, the items will stay fresh for quite sometime. Talking about the ingredients, they were all very fresh and well proportioned. Everything was measured and packed nicely and was the perfect amount for 2 people.. no wastage! The meat and fish section had validity dates for around 10 days so you don't need to rush in with them. I was happy to see that the vegetables even had 1 chilli, 2 garlic cloves (very minutely packed) if they are needed in the recipe. I got to try 3 new recipes and they were delicious! And since I have them in both digital and paper forms, I can remake it anytime I wish to! I enjoyed cooking as the recipes were quite easy to make and did not require hours for preparation. The steps in the menu card were precise and it did not take me more than 30-40 minutes for any recipe. Most important thing is that all the recipes had a good combination of vegetables and meat. So if you are someone who follow certain meal type strictly, you can easily have these recipes with some tweaks here n there. I felt that I am having more varieties of veggies than I have during my own meal. You have their vouchers/discount codes! 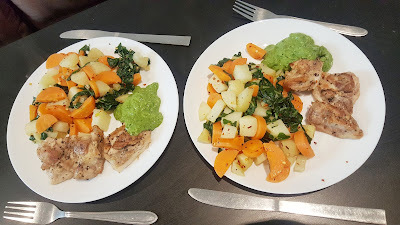 I have been enjoying the HelloFresh boxes thoroughly and plan on ordering them in future as well. I work from home so I don't plan to order it every week as I have the time to cook. However, there are days when you don't want to think too much and try something new and there I will have my pre-ordered food.. ready to cook! 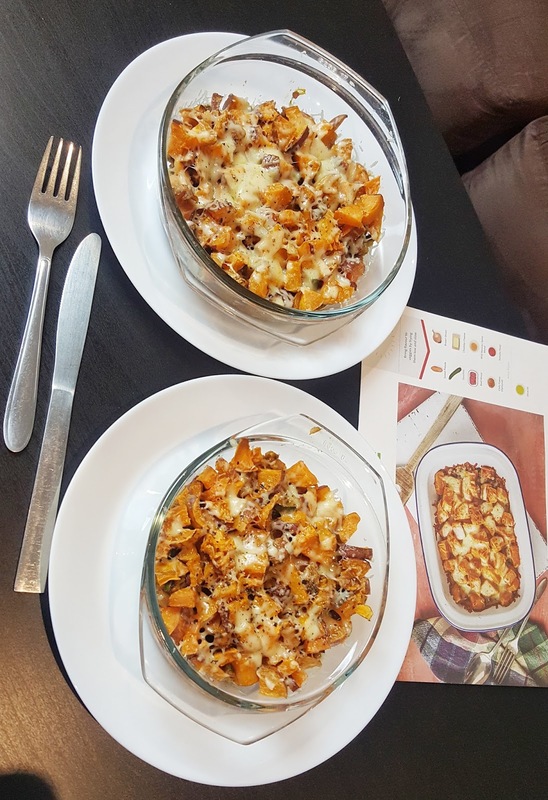 Hope my reviews helps you decide if you want to try HelloFresh. If you are interested in giving it a try, DO NOT FORGET TO USE MY CODE 'SILKYP' to save some money on your first box. Let me know if you have tried it yet or if you plan to. PAC HD LIQUID FOUNDATION REVIEW: FOR THAT PERFECT BASE!